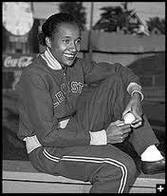 For a decade, Alice Coachman dominated the women’s high jump event and doubled as a world class sprinter, too. 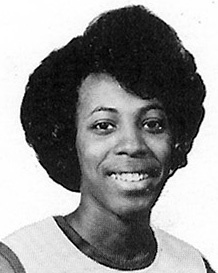 At Tuskegee, she flourished under her mentor and legendary pioneer coach Cleve Abbott. Coachman was a nine-time AAU outdoor high jump champion (1939-48) and was indoor champion in 1941, 1945 and 1946 (there was no indoor competition from 1938-40 and from 1942-44). 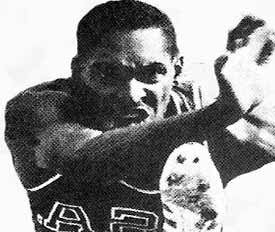 On August 12, 1960, Ralph Boston set a 26 feet, 11 1/2 in the long jump (breaking the mark set by Jesse Owens twenty-five years earlier) which was the first of five world records he went on to set in the long jump. Less than a month later in the Olympic Games in Rome, Boston broke Owen’s twenty-four year old Olympic record by jumping 25 feet, 7 1/2 inches to win the gold medal, the first time four competitors broke the 26 feet barrier in the same meet. In May, 1961, Ralph broke his own record with a leap of 27 feet, 1/2 inch, becoming the first to leap more than 27 feet. A year later, he set another record of 27 feet, 2 inches. After the Soviet Union’ Igor Ter-Ovanesyan set a new record of 27 feet, 3 1/2 inches in 1962, Boston tied the mark in August 1964 and broke it with a jump if 27 feet, 4 1/2 inches in 1965. He set his last world record of 27 feet, 5 inches in 1965. Tennessee State was the home of many college sports stars during the 1950-70s and Wilma Rudolph became the face of the women’s track program. 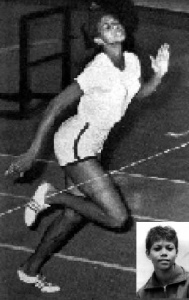 She earned a bronze medal in the 1956 Melbourne Games in the 4×100 m relay. and started a string of gold medals as she was dubbed the fastest woman in the world in the 1960s while leading the U.S. Women’s Olympic team in dominating the sprints and relays in the 1960 Summer Olympics in Rome. Rudolph became the first American woman to win three gold medals and set a new Olympic record the 200-meter dash in 23.2 seconds. 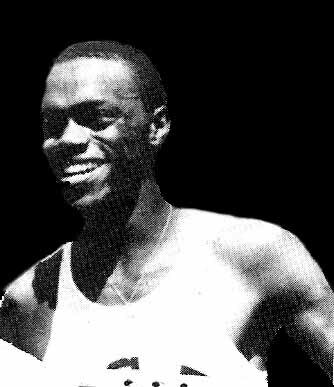 Dr. Leroy T. Walker, a legend long before he crossed the border from Benedict College in Columbia, South Carolina to the Durham campus built a legacy in men’s track and field at North Carolina Central with a legion of sprinters, hurdlers and high jumpers. 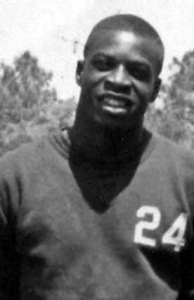 From Matthew Grant High School in Jacksonville, Florida to the 1960 Olympics in Rome, Bob Hayes, the former Florida A&M phenom blazed his way into the history books. Hayes was a star halfback /receiver at FAMU and an All-American sprinter on the men’s track squad. 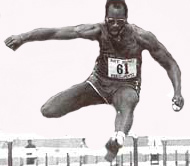 His specialty was speed…the 100M, 200M races where he dominated his college opponents. He was dubbed the “World’s Fastest Human” after winning three national AAU titles, an NCAA titles and a three-year ranking as the world’s top 100M champion. He set several records in the 100, 200 and 4X100 relays. Hayes was the first sprinter to break 6.0 seconds in the 60-year dash and the first to run 9.1 seconds in the 100-yard dash. Hayes also held the world record of 20.5 in the 200M. 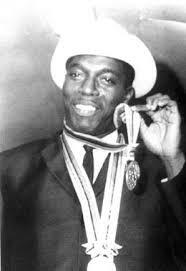 In 1964, Hayes captured the gold medal in the 100M event at the Olympics and set a new world record (10.06 sec.) and had a margin of seven feet over his nearest opponent. He bettered that performance in the 4X100M Relay finals. Due to poor baton passing, the US team found themselves in fifth place when Hayes, running the anchor leg, took the baton and in one of the most awesome and breath breaking displays of sprinting power, he blew past the competition and was ahead by three meters at the finish line and the U.S. team set a new world record of 39.0.